For over 24 years, ISS Language and Career College of BC helps 2,000 students every year to improve their English, build career skills, and experience life in Vancouver. Career Co-op programs start every month. Talk to a registrar to schedule your choice of programs. The next TESOL diploma program starts June 10th. Register now to reserve your seat. Want to improve your English as quickly as possible? Take Intensive English 5 mornings a week. There is a start date every 4 weeks. Co-op (study and work) programs. Choose your schedule and courses! You can study weekday mornings, afternoons and evenings as well as Saturdays. Our registrars will help you create a great timetable! LCC is designated by the Private Training Institutes Branch of the Ministry of Advanced Education (View the Designated Certificate). For more information about our designation, including a list of approved programs, please click here. Study with flexibility - choose independent Diplomas or full-time Co-op programs perfect for study and work permits. Choose General or Intensive English at your level, or Test Preparation classes to prepare for IELTS or TOEFL. Grammar, Writing, Listening and Speaking classes let you focus on your needs. Each of our teachers has a university degree and a recognized TESL certificate. They have years of experience both in Canada and overseas. They are dedicated, professional and enthusiastic! 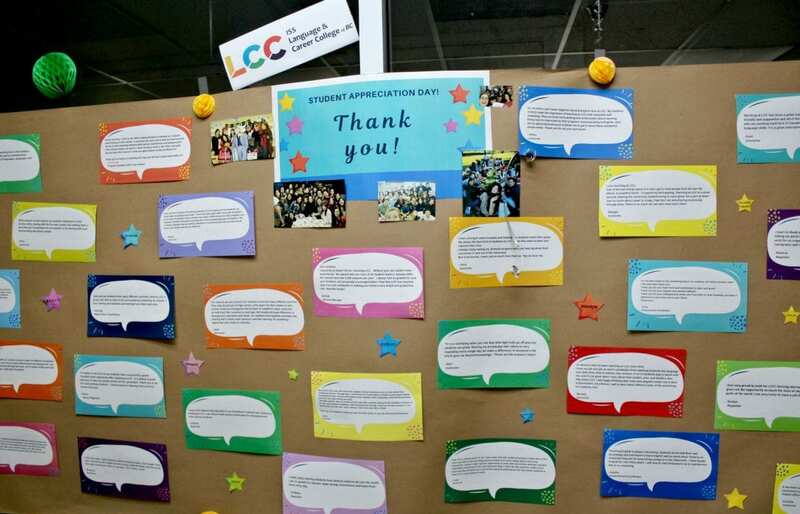 LCC is a Designated Learning Institution, DLI# O19279658882. 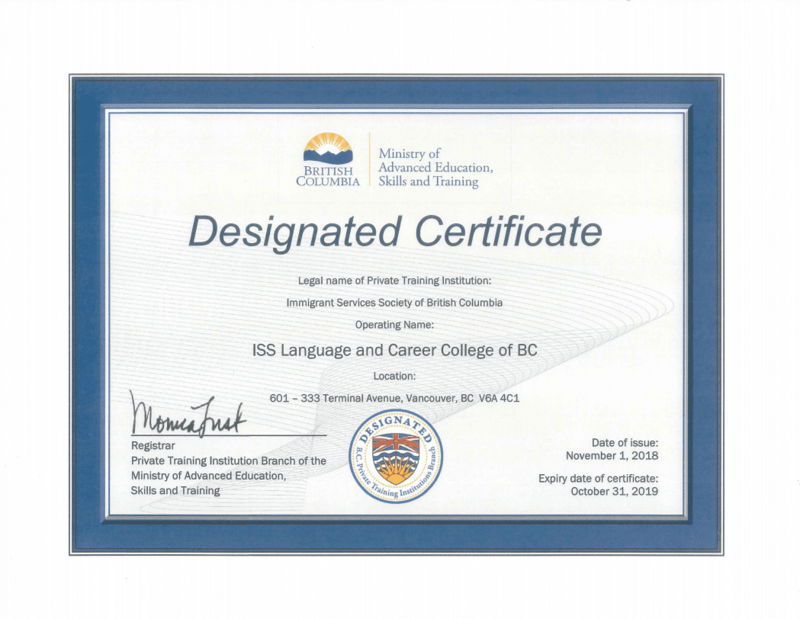 We are designated by Languages Canada and the Private Training Institutions Branch, and have an Education Quality Assurance designation from the Ministry of Advanced Education, Skills and Training in British Columbia. For more information about our designation, including a list of our approved programs, please click here.